Dell XPS 15 9550 (New) - 1TB SSD Version - Is there another spare HDD Slot? Is there another port for another HDD in there somewhere? Id like to install another one. 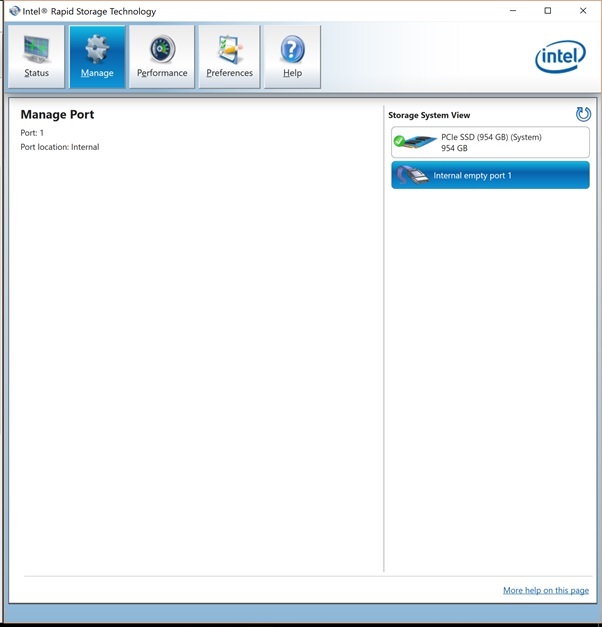 If i click on the Intel Rapid Storage Application, i can see the PCIe SSD (954 GB) System Drive, and i can also see an Internal empty port 1. RE: Dell XPS 15 9550 (New) - 1TB SSD Version - Is there another spare HDD Slot? The drive requires a frame and connector -- some have reported they're in the system, while others have reported they don't ship with systems other than those coming from the factory with the drive. Best to remove the base cover to check to see. I think it has room for a PCIe SSD and a normal HDD. Don't quote me on it but I took a look at the manual for a split second.